Benchmark indices ended over 1 per cent higher led by gains in ICICI Bank, Axis Bank, HDFC Bank, ITC and RIL. The S&P BSE Sensex ended at 36,443, up 379 points while the broader Nifty50 index settled at 10,987, up 123 points. Among sectoral indices, Nifty Auto index ended 3.17 per cent higher with Eicher Motors and Tata Motors being the top gainers. The Nifty Metal index, too, settled 2.65 per cent higher steered by Jindal Stainless and Hindustan Copper. 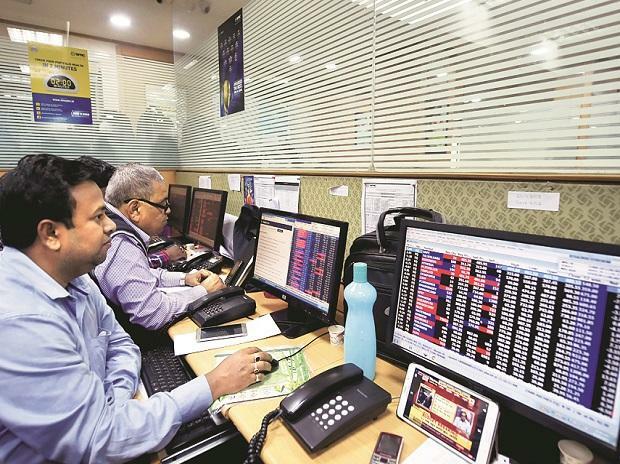 In the broader market, the S&P BSE MidCap index ended 291 points, or 2.01 per cent higher at 14,794, while S&P BSE SmallCap index settled at 14,417, up 435 points, or 3.11 per cent. The shares of REC (up 5 per cent at Rs 144) and Power Finance Corporation (up 2.5 per cent at Rs 116) hit their respective 52-week highs during intra-day trade on the BSE. REC ended at Rs 144.80, up 5.46 per cent whereas Power Finance Corporation settled 2.78 per cent higher at Rs 116.50. Shares of Tata Motors rallied 10 per cent to Rs 198 apiece on the National Stock Exchange (NSE) in the intra-day trade on the back of heavy volumes after the company denied the reports of exploring options for Jaguar Land Rover Automotive Plc (JLR) including stake sale. The stock ended at Rs 193.40, up 7.27 per cent. Asian shares stepped back on Tuesday, weighed by US economic concerns and as China cut its growth target in the face of intensifying challenges from rising debt and a dispute over trade and technology with the United States. MSCI’s broadest index of Asia-Pacific shares outside Japan dropped 0.15 per cent and Japan’s Nikkei lost 0.4 per cent.